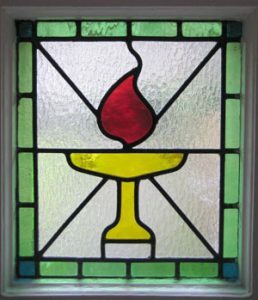 We are Unitarian community that meets each week for a liberal religious service. Unitarians do not have a creed meaning that we feel that religious belief is some thing so personal it should be defined by the individual. We are people who wish our religion to be broad and tolerant, and believe that all people have the right to seek truth and meaning for themselves. Worship is an expression of our sense of wonder. It is a celebration of those things that are of supreme worth and spiritual value which give dignity and meaning to human life. We welcome people of all ages, including families with children. We come from a wide range of religious backgrounds including e.g. Unitarian, Christian, Humanist, Buddhist, Pagan, Agnostic and others; as well as from no religious background at all. be guided by their own conscience. We meet in the beautiful and historic Unitarian Chapel in ??? ?, the oldest surviving nonconformist chapel in ??? ?, in a peaceful setting in the heart of the City, and would be very pleased to welcome you there. Services are at 11 a.m. every Sunday morning.